Create a clean, pure, bacteria-free environment that detoxifies and replenishes the body. 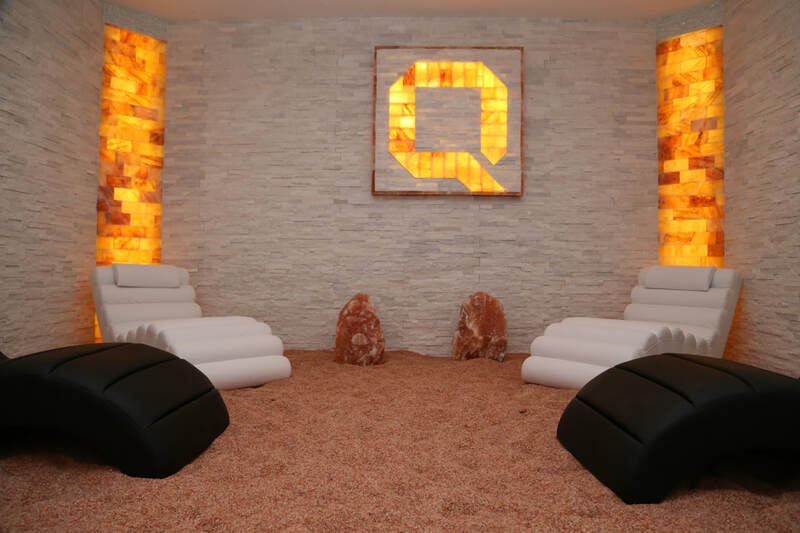 Our Himalayan Salt Panels allow you to optimize your underutilized traditional sauna with the numerous benefits of Himalayan salt by converting it to a detoxifying dry sauna. 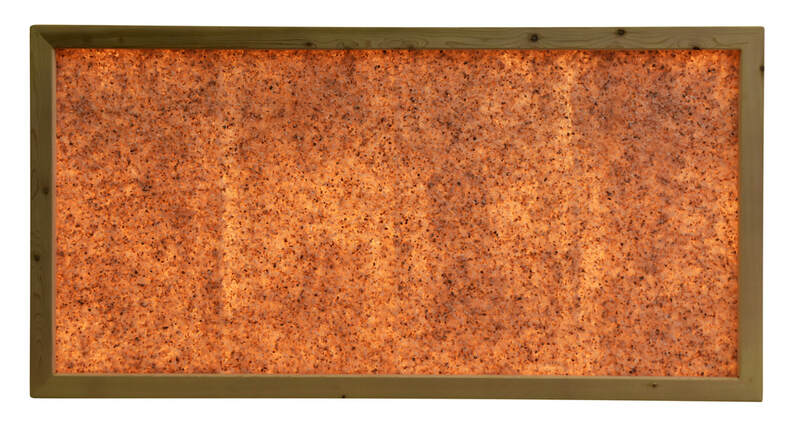 Framed panels are in a finished size of 32" x 64" and come in a variety of Himalayan salt styles and frame finishes. Choose from salt bricks or different size granular salt. Choose from standard pink salt or upgrade to white salt for a distinctive look. Adding Himalayan Salt Detox Foot Trays to your sauna can enhance the relaxed vibe of guests' spa experience and may help remove blocked energy along with all those unwanted toxins. Part of the detox experience using the foot tray means clients will sweat more from their feet and hands, enhancing purification and cleansing as toxins are released and the 84 naturally occurring minerals are absorbed. To place an order or for more information, please call or email. Our clients love their new salt saunas! We’re thrilled with our new salt sauna! Thanks to Ann Brown and Saltability for the incredible salt tiles and help in designing the room. Our carpenters were able to design and install the tiles and the room looks beautiful. We are now able to capture all the respiratory system healing properties of the salt, making the sauna more effective and beautiful. Enhancing our sauna with the benefits of the Himalayan salts not only adds another layer of health benefits, but it creates an esthetic to the environment and a sense of calmness. 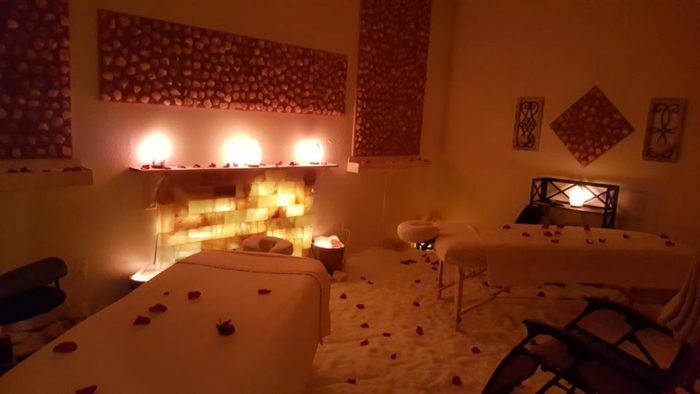 The wellness benefits along with the esthetics of the pure salt really create a sense of place and calmness for our guests.